The new OneKube™ Mini Power Strip with Surge Protection is probably the best companion for your notebook, netbook, etc… The OneKube™ Mini Power Strip built-in SmartPlug™ connects directly to your notebook’s power adapter, offering 2 additional AC power outlets for use with your other electronics devices. The built-in Surge Protection circuit will also provide protection to any harmful surge and spikes from your electronics. 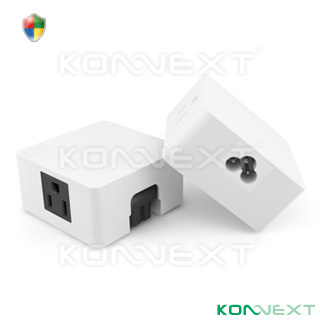 All these features in an extremely compact, easy to carry and easy to use design, making the OneKube™ Mini Power Strip the best companion for your next business trip or vacation.